Can I be a member of RGD if I’m not attending a design school in Ontario full-time? Yes. Students enrolled part-time or full-time in any post-secondary program anywhere in the world are eligible for Student RGD membership. You will need to provide proof of enrolment when you apply. Is my program signed up for automatic student membership with RGD? If you are enrolled in the graphic design programs at Cambrian College, Canadore College, Capilano University, Centennial, College of the North Atlantic, Conestoga College, George Brown College, Georgian College, St. Lawrence College (2nd & 3rd year students only), Sault College and York U/Sheridan College Joint Degree Program (3rd & 4th year students only), you are automatically a Student Member of RGD. If I was automatically a Student member through my school last year, do I still have to renew my membership? Students attending automatic schools do not have to apply for Student RGD membership separately. You would not have to apply separately for membership unless you are newly enrolled in a non-automatic school, or you have graduated. If my school doesn’t participate in the automatic program, how do I sign up? Simply complete the online application form found here (http://www.rgd.ca/student-application-form), which includes providing proof of enrolment. The annual membership fee is $30 plus $3.90 in taxes. What does RGD require as proof of enrolment? A photo/scan of a valid student card with expiry date is best. If this is not available, a screenshot of an online registration system or timetable indicating the institution, your name and time period may also be submitted. How do I get my membership number and password? This will be emailed to you once your application has been processed, usually 8-10 days after you have made your membership dues payment. I have not received my membership card. What do I do? First, check your junk/spam folder. Membership cards are sent electronically and sometimes they do not make it to your inbox. If it is not there, and if it has been more than 10 days since your Student RGD payment was made, or, if you are attending an automatic school and never received your membership information, please contact RGD’s Membership Coordinator, Christina Dahl, by email at christina@rgd.ca. I want to change the personal information RGD has on file for me. How do I do that? Log-in to the members only section at rgd.ca and update your profile. To do so, click on “member login” in the top, right-hand corner of the website, enter your username and password. Once logged in, click on your name in the top, right-hand corner to access your profile. If this is your first time logging in, select the password reset option under member login and enter the email address associated with your membership, password set-up details will be sent to that email address. What happens once I graduate? 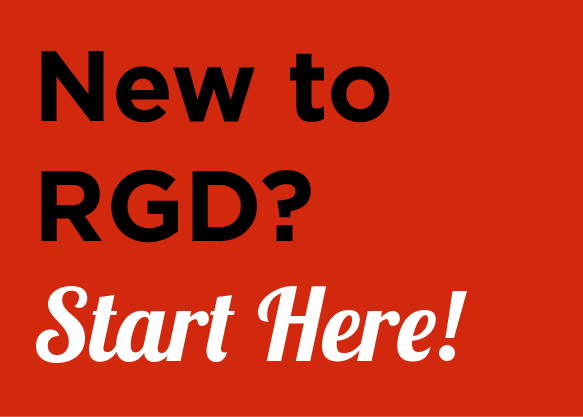 You are likely eligible to apply to become a Provisional RGD! The annual dues are $90 plus $11.70 in taxes. Eligibility details, benefits of membership and a link to the online application, can be found here (http://www.rgd.ca/membership/recent-graduate.php). How do I volunteer with RGD? Do I get magazine subscriptions as part of my RGD Student Membership? The dues for Student Membership (which is only $30) do not allow RGD to provide any magazine subscriptions as part of the membership but Provisional RGDs (dues of $90) receive free subscriptions to Fast Company and another magazine of their choice (Applied Arts, Print, HOW or Azure) as part of membership. A complete list of the benefits of Student Membership can be found here.